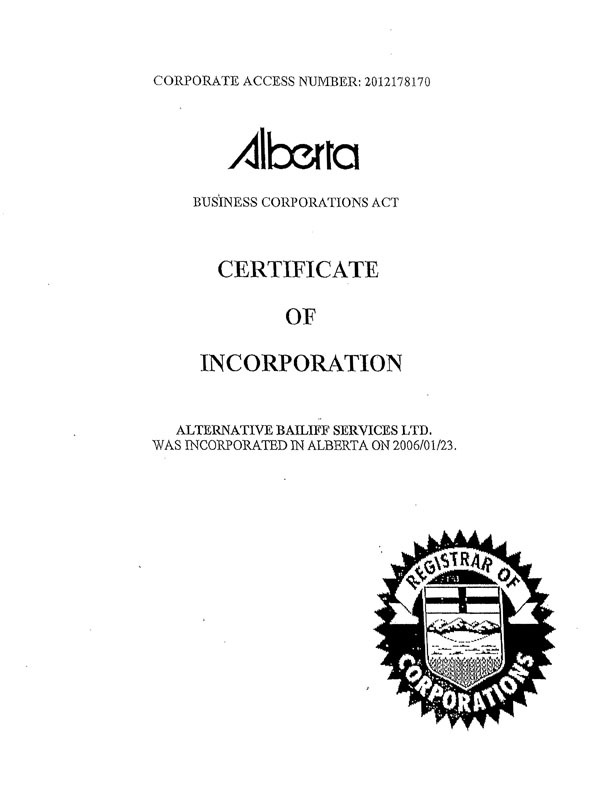 Court Order to Vacate :: Letter of Instruction | Alternative Bailiff Services Ltd.
An eviction requires a Court Order to vacate and the affidavit of service of that order filed with the court. There may be conditions attached with the order. 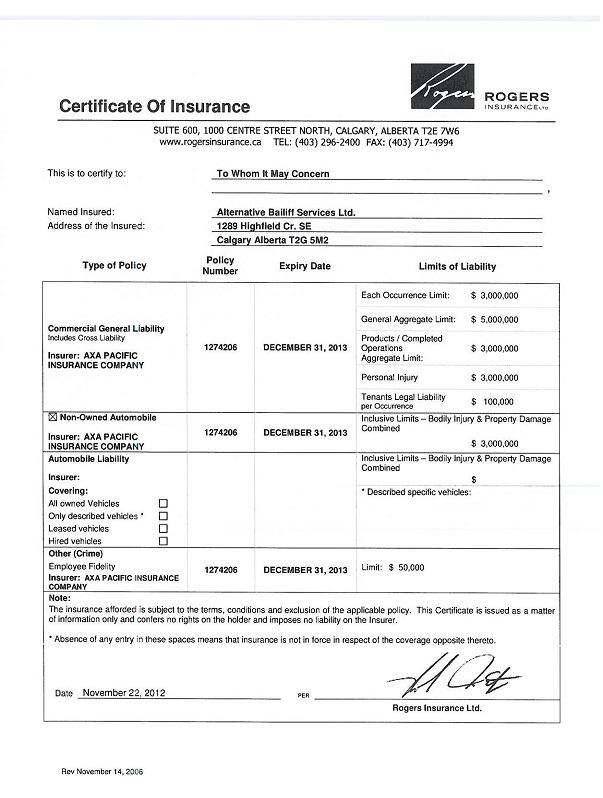 If these conditions have not been met a Notice of Default must be served on the tenant and filed with the court. 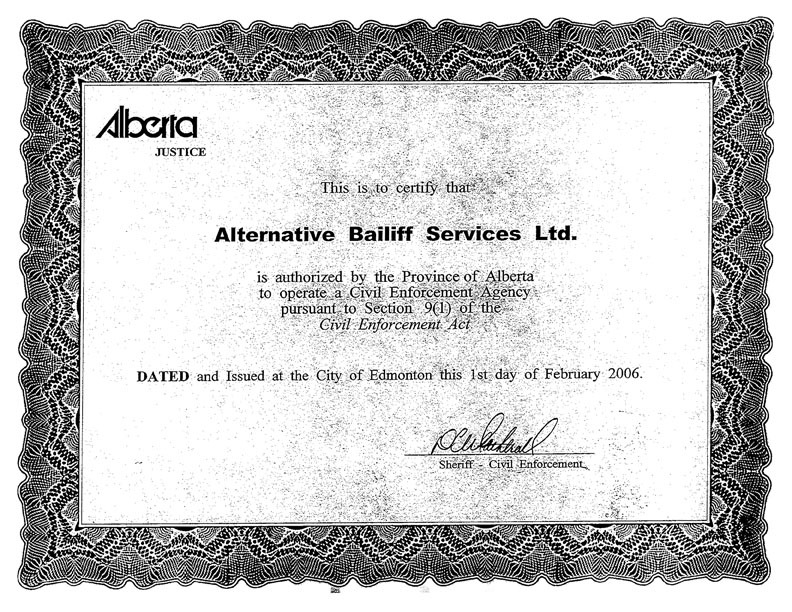 Alternative Bailiff Services Ltd. requires all 3 documents with a court seal as well as a letter of instruction to proceed. Click here to fill out a Court Order.